Germany, the pillar of European economic stability, is skeptical that Athens will receive the next tranche of aid “in the coming weeks,” despite painful new austerity measures adopted this week in Greek Parliament. ­German Finance Minister Wolfgang Schaeuble, one of the main architects of the Greek response team, warned Thursday that it is unlikely that Greece will reach a quick deal with its international creditors on the next credit line. “At the moment I do not see the decisions being made” that are required for a definitive agreement between the Troika of international auditors examining Greece's finances and the Greek government, he told a conference in Hamburg. 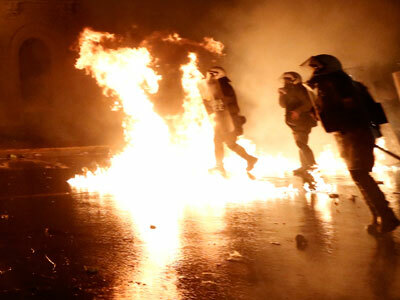 This is a conclusion with which many Greeks seem to disagree, as massive demonstrations ahead of Wednesday's vote erupted in the capital. At least 100 people were detained as police used tear gas and water cannons to disperse a crowd that voiced anger against a rise in the retirement age to 67, cuts to minimum wage and benefit reductions. 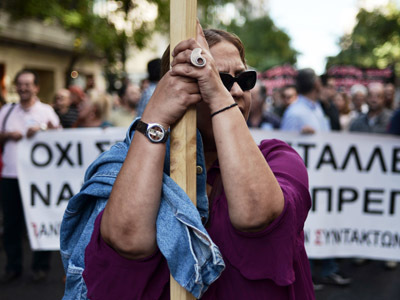 While the rallies pushed forth with their demands, Greek Parliament agreed by a narrow margin to €18.5 billion in budget cuts demanded by creditors. 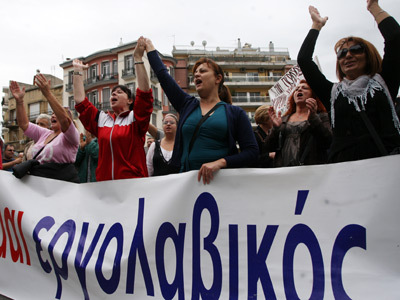 Now Greece awaits the €31.5-billion tranche of aid from the Troika – the European Central Bank, European Union and the International Monetary Fund, its fourth emergency loan package in three years. Economics analyst Antonis Vradis says the massive new loan will simply create more debt for the country. “These packages are moving in the entirely wrong direction. There is a definition of insanity, and according to it, insanity is doing the same thing over and over again and expecting different results. This is what is happening right now. You have a package after which the country's national debt is going to go up from 175% to 190%. The only way to stop this policy of austerity is if people actually stop them,” Vradis, a member of the Occupy London movement, told RT.